Item # 313538 Stash Points: 5,495 (?) This is the number of points you get in The Zumiez Stash for purchasing this item. Stash points are redeemable for exclusive rewards only available to Zumiez Stash members. To redeem your points check out the rewards catalog on thestash.zumiez.com. Skateboard legend Brian Anderson is back with another premier pro-model in the form of the Anti-Hero BA We Fly 8.62" Skateboard Deck. Coming in a mild concave shape throughout, this deck is most prominently highlighted by very long kick tails that have a steep, but late upturn for a unique shape, with all-kinds of different pop capabilities. Small wheel wells offer additional space for vert or street wheels to ensure this deck is ready to slay the streets and vert sections, much like the pro it was designed by. 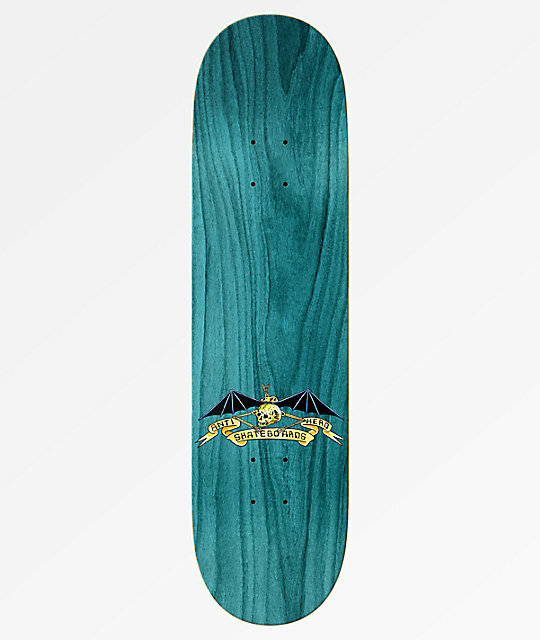 BA We Fly 8.62" Skateboard Deck from Anti-Hero. 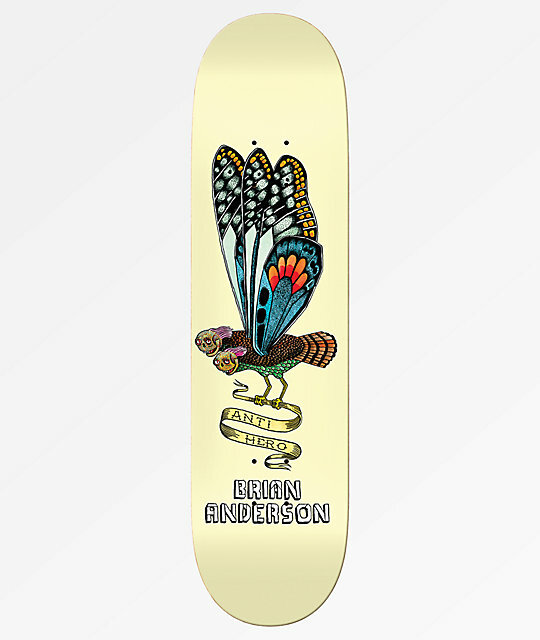 Signature Brian Anderson pro model.